Michael’s Glass Company is celebrating its 40th anniversary of designing and installing custom glass products for automotive, residential and commercial use. PHILDELPHIA, PENNSYLVANIA, UNITED STATES, October 4, 2017 /EINPresswire.com/ — Michael's Glass Company is a unique custom glass service that has had continual operations within Philadelphia, PA. since 1977. 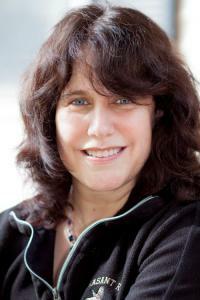 The business was founded by Michael Lipinsky, and today the company is owned and managed by Lipinsky’s wife, Bonnie. 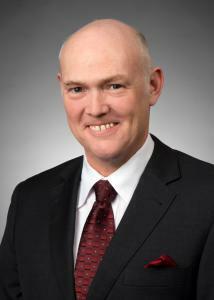 The day-to-day operations are directed by Darren Robertson, a 19-year veteran employee of the company. MCG’s operation employs 10 people, from their shop in the Tacony/Mayfair section of Philadelphia. The original shop was on opened in 1977 on Dittman Street in the city. Michael Lipinsky managed the company until his untimely death in 1996. Bonnie filled the void and took over the reigns while raising 4 young children. In 1999 Darren was brought in to help Bonnie and has since taken over directing the day-to-day operations. Today MCG is closing in on an enormous milestone: the installation of its 500,000th piece of auto glass. The business now has a fleet of vehicles that installs auto glass and makes auto glass repairs onsite, wherever the customers' vehicle is located. MCG has replaced auto glass windshields on cars as old as 1917. These restored vehicles are proudly on display across the country and can be seen in parades in New York City each year. In addition to auto glass repairs and replacement, MCG provides custom glass shower doors and custom glass shower enclosures for residential and commercial use. Custom mirrors are also a large part of the business. Mirrors can be very small in size or extremely large like those found in studios or retail establishments. The home gymnasium can have a mirrored wall or a fully mirrored room. Commercial glass repair is another specialty of the company’s. 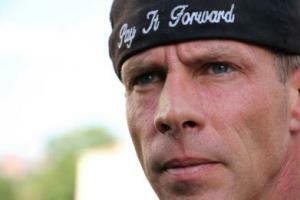 Darren was asked what aspect of the company that made him proud: There were two areas; one was his fellow employees. Most of the workforce has an average of 10 years with the company, and we have little turnover. We offer benefits that most small businesses can’t or won’t. We have perks like a solid 401K plan, paid vacations, and we supply them with a cell phone. They have no out of pocket expenses with us! We run like a large business, but we are a family business that understands the needs of our workers. The analysts forecast the e-learning market in Europe to grow at a CAGR of 12.27% during the period 2016-2020. 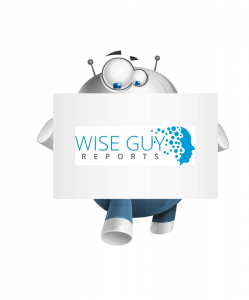 WiseGuyReports.Com adds” E-learning Market in Europe 2016-2020 “Research To Its Database. Since the introduction of digital devices, education institutes across the developed economies of Europe have systematically incorporated them into the classroom. Ubiquitous adoption of hardware tools including iPads, e-readers, laptops, and IWBs has led to the adoption of digital content and supporting software. This made it possible to personalize and securely deliver learning content. Several innovative tools and platforms have emerged in the past decade. This has intensified the need for a balanced, collaborative architecture that supports the optimal functioning of a learning system and takes all technological dimensions into account. The report covers the present scenario and the growth prospects of the e-learning market in Europe for 2016-2020. To calculate the market size, Technavio considers the revenue generated from products such as content, software and services, and faculty support. The report also considers the revenue generated by higher education institutes and K-12 schools as its prime end-users. The E-learning Market in Europe 2016-2020, has been prepared based on an in-depth market analysis with inputs from industry experts. The report covers the market landscape and its growth prospects over the coming years. The report also includes a discussion of the key vendors operating in this market. 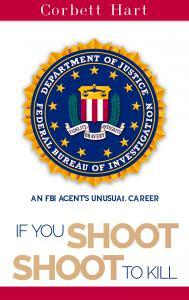 Corbett Hart's "If You Shoot, Shoot To Kill" tells twenty stories on how the FBI dealt with the unexpected and profane. And the profane appear in many guises making for a virtual catalogue of criminality: assassins, bank robbers, frauds, killers, hijackers, thieves, drug dealers,crooked attorneys, desperate women and swindlers too,the latter thwarted from seizing Elvis Presley's airplane. History Publishing Company Global published "If You Shoot, Shoot to Kill" electronically on August 29, 2017. It is available on Amazon in the U.S. and Canada and on B&N.com, KOBO and various other outlets globally. It was a featured title in History Publishing Company’s Global Outreach Program that reaches out to all English speaking countries and Mexico, Argentina and Austria, all with sizable English speaking populations. It will be available in print early December, 2017 and will be available on Amazon, B&N.com, and wholesalers Baker and Taylor and Ingram, will make it available to bookstores and libraries nationally. 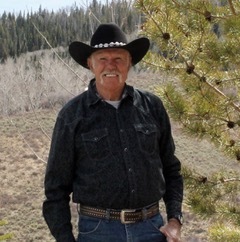 Corbett Hart, retired from the FBI, is now a rancher and resides with his wife Barbara, an attorney, on their ranch in Colorado. 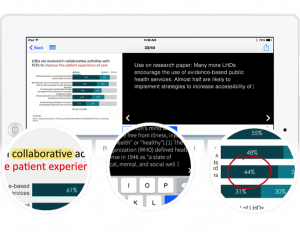 Attendees can highlight text, type notes, and draw on slides using the eventScribe Event App. The new self-publishing tool cuts out manual processes when speakers upload content to the Conference Harvester. 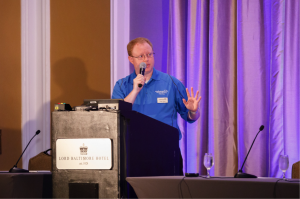 CadmiumCD CTO Peter Wyatt shares details of the new self-publishing tool at CadCon, the company’s annual users group meeting. FOREST HILL, MD, UNITED STATES, October 3, 2017 /EINPresswire.com/ — CadmiumCD’s eventScribe App is one of the only event apps that offer a true note-taking experience. 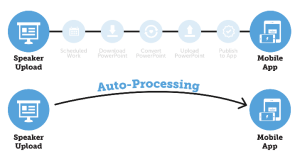 Attendees can draw lines and highlight text directly on presentation slides, as well as take typed notes beside the slides. It’s an experience that feels natural and, for many, is unmatched. The challenge for CadmiumCD has always been that this experience takes a lot of work to curate in the background. This proprietary technology makes CadmiumCD’s eventScribe a favorite for planners with educational conferences. But it’s a labor-intensive process that doesn’t meet the expectation for quick turnaround times at today’s fast-paced events. Most vendors have workarounds to speed up the process, which lead to all kinds of issues. Low quality slide sharing and a lack of robust note-taking capabilities are two of the most common. Pete and his development team went back to the drawing board and emerged six months later with a new process. Now, when a speaker uploads a presentation or file online in the Conference Harvester or onsite in the speaker ready room, it’s made available in the mobile app via an automated process. The same technology that makes files available in the app can also be used to make them available on the eventScribe Website. The beauty of this process is that planners no longer need to schedule content updates, figure out if a presentation is available, and coordinate labor efforts; the files are uploaded, then show up in the next app update as published content. Some organizations still need a barrier between the upload and publish steps. 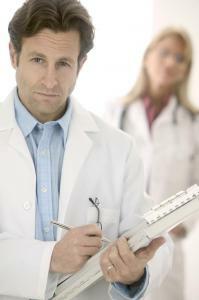 Medical associations, for example, require disclosures to be reviewed and approved before going live. Snyder says because of this, the self-publishing tool creates a better attendee experience. The tool ensures that attendees receive quick updates and have access to the latest information. The self-publishing tool is now available to select users of the Conference Harvester and eventScribe Website and App platforms. To get started with the new tool today, contact CadmiumCD at 410-638-9239 or info@cadmiumcd.com. ELGIN, ILLINOIS, UNITED STATES, October 3, 2017 /EINPresswire.com/ — According to recent studies, as many as 2.5 million people in the United States suffer from Chronic Fatigue Syndrome. a devastating multi-system disease that causes dysfunction of the neurological, immune, endocrine and metabolic systems. CFS affects adults and children of all races, income levels and geographic areas, and is characterized by extreme fatigue that can't be explained by any underlying medical condition. It’s a debilitating disease that robs you of the essential energy to enjoy a quality life. 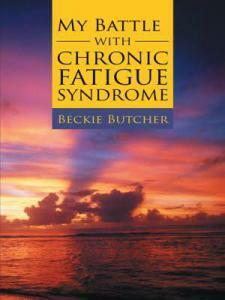 Beckie Butcher is the author of My Battle With Chronic Fatigue Syndrome, which chronicles her struggle with the disease. “We may not die, but our lives are taken away from us,” says Beckie. Beckie says after three years of keeping a stiff upper lip and reminding herself things could be worse, she had to step back and mourn her loss. The experience inspired her to finally sit down and process the profound change in her life. The result was My Battle With Chronic Fatigue Syndrome. CFS is considered a controversial diagnosis in the medical community, and many doctors remain skeptical. Walking down the street would be a miracle. At least 25 percent of patients are homebound or bedbound. Beckie was both. Today, Beckie is no longer bedridden, but she cannot work. Still, Beckie says she’s come to terms to with her disease. CUTV News Radio will feature Beckie Butcher in a four-part interview series with Jim Masters on October 5th and October 12th at 12pm EDT, October 19th at 1pm EDT, and October 26th at 12pm EDT. My Battle With Chronic Fatigue Syndrome is available now on Amazon. MINNEAPOLIS, MINNESOTA , UNITED STATES, October 3, 2017 /EINPresswire.com/ — United Launch Alliance (ULA) President and Chief Executive Tory Bruno joins The Mars Generation (TMG) as a leading member of the advisory board. In support of a common mission to further deep space and interplanetary exploration, Bruno will apply his extensive industry background to help guide board objectives and advocate for the non-profit organization as an advisory board member. The Mars Generation operates several core programs including the Future of Space Outreach Program, the Space Camp Scholarship Program and the Student Space Ambassador Leadership Program (SSA). All programs focus on reaching the mission of The Mars Generation which is to excite young people and adults about human space exploration and STEM/STEAM (Science, Technology, Engineering, Art, Math) education and foster an understanding of the importance of these two elements to the future of humankind on Earth. The Mars Generation is a 501(c)(3) nonprofit in the United States. The organization is volunteer-driven with a board of directors that includes astronauts, engineers, scientists and professionals from the nonprofit and business communities. With a reach of more than 25 million people in the organization’s first two years of operation and more than 1,200 students from around the world participating in its Student Space Ambassador program, over 450 donors, 1,000 members and several space industry sponsors in place, the organization continues to grow and offer programs to excite and educate students and adults about the importance of human space exploration and STEAM education. WiseGuyReports.com adds “K-12 Blended E-Learning Market 2017 Global Analysis, Growth, Opportunities Research Report Forecasting to 2022”reports to its database. PHILADELPHIA, PENNSYLVANIA, UNITED STATES, October 3, 2017 /EINPresswire.com/ — Michael A. Cibik, Esquire, Managing Partner of the esteemed law firm of Cibik & Cataldo, P.C. has once again been conferred as a Certified – Consumer Bankruptcy Attorney in Philadelphia, PA by the American Board of Certification (ABC). The Board is the nation’s premier legal specialty certification organization certifying attorneys as specialists for Consumer Bankruptcy. Attorney Cibik and his partner, Michael A. Cataldo, Esq. are the only holders of this designation within Philadelphia, PA. Attorney Cibik has held the certification for 23 consecutive years. The law firm has handled well more than 20,000 personal bankruptcies. The firm only represents individuals and small business owners and their claims. The ABC programs are designed to identify and recognize those attorneys in consumer or business bankruptcy who have met or exceeded rigorous certification standards relating to experience, continuing legal education, integrity, and peer review; in addition to demonstrating a sophisticated understanding of the law in their specialty area. Creditors rights is a passion with Attorney Cibik, which is why he goes above and beyond the standard training and seeks this rigorous and comprehensive training. Besides the time spent away from his practice, Attorney Cibik successfully completed a comprehensive day-long examination. The examination includes bankruptcy/creditors rights law, legal ethics and substantive questions in the specialty. Further, each applicant must show significant experience in legal matters and a substantive dedication of their practice of such matters. Providing professional references and participating in a minimum of 60 hours of continuing legal education over a three-year period. For over 35 years, the debt-relief law firm of Cibik & Cataldo, P.C. has been the cost-effective Philadelphia, PA Consumer Bankruptcy driven attorney firm. Have questions? Need help? Call Attorney Michael Cibik at 215-735-1000 or contact him at www.Philadelphiabankruptcylawers.com for a no charge situation review and consultation. This press release does not constitute any client-attorney privilege and does not offer any advice or opinion on any legal matter. This release was drafted by Results Driven Marketing, LLC a digital marketing, Public Relations, advertising and content marketing firm located in Philadelphia, PA.
* mAn employee at a nursing home that is short staffed and not capable of providing mandated daily medical treatments to their Medicare patients-but the facility is billing Medicare as if they are fully staffed. * An employee at a skilled nursing facility that is forcing Medicare patients to undergo medically unnecessary rehab-therapy-every day, or almost every day. Managers at the skilled nursing facility force their rehab therapists to perform these medically unnecessary procedures—or the therapist is only working part time-or they get fired. 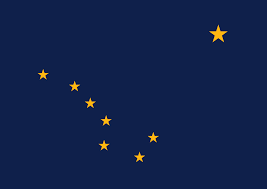 The skilled nursing facility or rehab center could be located anywhere in Alaska including communities such as Anchorage, Fairbanks, Juneau, Wasilla, or Sitka. * An employee of an Alaskan based hospice provider that is signing up Medicare patients for hospice-even though the patients do not qualify for hospice-because they are not dying. * An employee of a hospital anywhere in Alaska that is routinely up-coding Medicare bills to the highest reimbursement levels beyond what the actual treatment that was provided. Unlike any group in the US the Corporate Whistleblower Center can assist a potential whistleblower with packaging or building out their information to potentially increase the reward potential. They will also provide the whistleblower with access to some of the most skilled whistleblower attorneys in the nation. For more information a possible whistleblower with substantial proof of wrongdoing in Alaska can contact the Whistleblower Center at 866-714-6466 or contact them via their website at http://Alaska.CorporateWhistleBlower.Com.